Harmony Béton offers a wide range of decorative interior and exterior concrete products to help with your home improvement projects. Give the inside of your home a fresh, modern look with your choice of polished, waxed, stained, or quartz-infused concrete. We can also supply ready-to-use waxed concrete kits for small areas of 2 - 8 m2. For exterior work, use stamped, stencilled, sprayed, stained, porous or exposed aggregate concrete to create your desired effect. Whether you are starting a new project or doing renovations, we have everything you need. Let your imagination run free! Prosoldur (Achroquartz) hardener lets you colour the surface of your fresh concrete. The smooth mineral appearance of Prosoldur will give your interior a very loft-like look. Harmony Béton Colored hardener mix is a powder which is comprised of a hardener, a mixture of graded silica sands, cement, admixtures and pigments, used for the production of embossed concrete or imprinted concrete using moulds. Harmony Béton Embossing mix increases the resistance of concrete to abrasion and impacts. Harmony Béton 0/3 imprinted concrete is a surface hardener for imprinted concrete or patterned concrete with a granularity of 0 to 3 mm. Thanks to a vast choice of coloured quartz and very competitive pricing, youll have great freedom of design for easy and durable integration into your work site. Harmony Microchape is a hardener, specially designed to be used in low thickness in order to make a concrete footprint on an existing surface (concrete, tiles). Unlike a hardener classic that uses dry, our micro clevis for use in grout. There are 9 colours and associates with a release colored powder or liquid. Harmony Acid Stain is a range of concentrated acid colorants for concrete, which react with the concrete by in-depth penetration to produce rich and vibrant colours which are reminiscent of natural mineral shades. Harmony concrete off is a turning off of the surface to highlight the aggregates contained in the concrete by removing the surface layer of the concrete. It allows you to perform a concrete aspect gravelled and slip-resistant for your outside. Harmony Béton porous concrete is a solvent-free, natural stone and polyurethane resin-based surfacing material. Harmony Béton porous concrete is designed to provide a porous surface of limited thickness, with a natural appearance. The hardener of surface used to color the surface of your fresh concrete. With its smooth appearance and mineral, Prosoldur will give your interior a very loft. 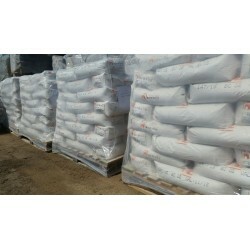 Buy wholesale with our range of concrete quartzé of 40sacs ! Product available in stock !